Posted by Cynthia Brame on Wednesday, May 17, 2017 in News. How do you find your way to safety when you’re sailing and the GPS fails? How do you determine whether a child’s babbling indicates that her language is developing as you would expect? What effect does decreased breathing rate have on blood pH, and why? If you’re designing a heat engine and are choosing between turbines of different efficiencies, what is the impact on your cooling costs? How do you explain to a local elementary school class how the Monarch butterflies they’re studying travel 2500 miles to Mexico for overwintering? Graduate students in the BOLD Fellows program have developed online instructional materials to help over 2500 Vanderbilt students answer questions like these. Developed in Fall 2013 as a CIRTL teaching-as-research program, the Blended and Online Learning Design program is designed to help STEM graduate student/faculty teams build expertise in developing online instructional modules and gather data on how those modules impact students’ learning. The program has provided a modest stipend and funds to help with conference travel for Fellows. Twenty-two graduate students have completed twenty projects in the program, and eight more graduate students have projects in development. 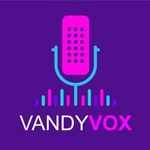 Not only have the projects been used in Vanderbilt classes, they have also been used more than 65,000 times by people from over 100 countries. Further, one has been use by the Navy to train midshipmen. Faizan Zubair and Dr. Paul Laibinis developed videos and online homework to help chemical and biomolecular engineering students develop an understanding of key thermodynamic principles. To determine whether the materials were effective, they compared students’ performance on exam questions in years with (2015) and without the online instructional materials, finding a statistically significant and relatively large improvement in students’ performance on these questions. 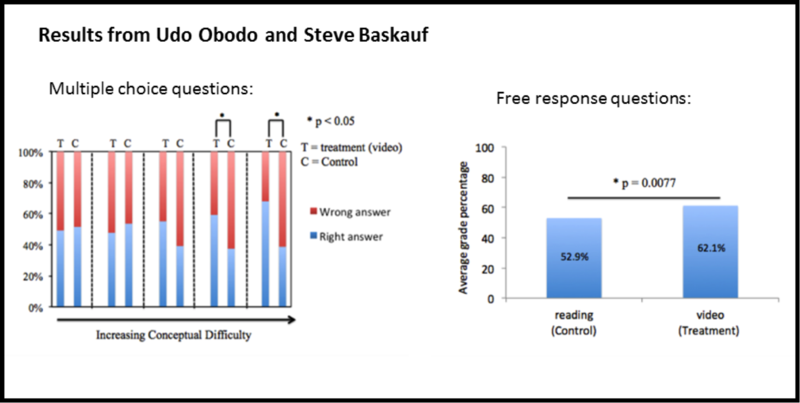 For example, the results shown at right represent a question on which student performance increased by an average of 20%. Other projects helped students reach some but not all of the targeted learning goals. For example, Laurel Teller and Jena McDaniel worked with Dr. Melanie Schuele to create online learning materials to help Hearing and Speech Science graduate students learn to identify and characterize early childhood communication acts. The online module improved students’ accuracy in identifying communication acts but did not have a significant effect on students’ ability to characterize those acts. Finally, some projects were well-designed and thoughtful, but didn’t have the desired outcome in the messy ecosystem that is the classroom. For example, Emilianne McCranie Limbrick and Dr. Michelle Sulikowski developed a beautiful set of animation-driven videos to help Organic Chemistry students understand a key analytical method called NMR. The idea was for students to watch the videos before class to gain a basic understanding of NMR and to use class time to work problems to solidify their understanding. In a lecture hall with 100+ students, the problem-solving was a challenge—and Emilianne and Michelle saw no apparent impact of the online materials on students’ performance. 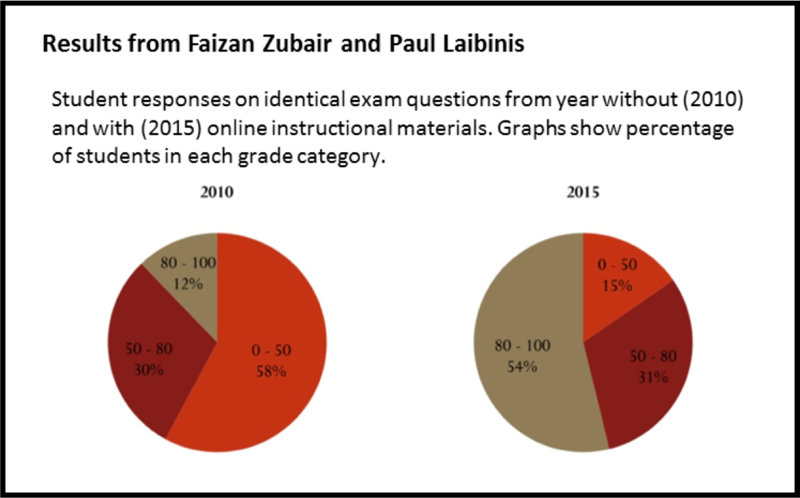 Perhaps surprisingly, the mixed results observed for individual projects are actually a hallmark of the program’s success. The idea of “teaching-as-research” fosters thinking about teaching as an evidence-based practice. 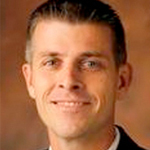 Defined by CIRTL as a process similar to the scholarship of teaching and learning (SOTL) or discipline-based education research (DBER), teaching-as-research draws on scientists’ practice of data-driven decision making, encouraging faculty and future faculty to gather data on students’ learning to interrogate our teaching practices. By explicitly fostering this process in the BOLD program, we help wed graduate students’ research training and teaching training, encouraging them develop a holistic approach to thinking about their future faculty lives. This impact is seen in some other successes of the program. All students who have completed projects have presented them to the Vanderbilt community, either as posters or as oral presentations. In addition, to date, eleven BOLD Fellows and two faculty mentors have presented their BOLD projects at national meetings. One BOLD Fellow has published his project, and three more manuscripts have been submitted. 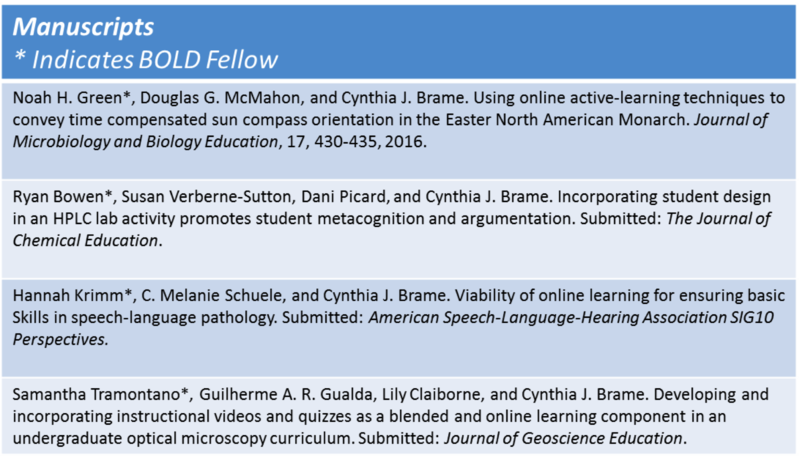 At least three more Fellows who have completed projects plan to present their work at national conferences, and eight additional Fellows are in the midst of project development. By helping students think about teaching as a scholarly endeavor, the program encourages students to tap into the professional networks they have been developing as researchers and promotes their growth as teacher-scholars. In addition to the view of teaching as research, two more elements have been key to the program: the development of a Fellows’ learning community and course-specific faculty mentorship. Fellows’ learning community. All aspects of the program are carried out in the context of a learning community. The BOLD Fellows complete their work as part of a cohort, meeting regularly to discuss and work on their projects. 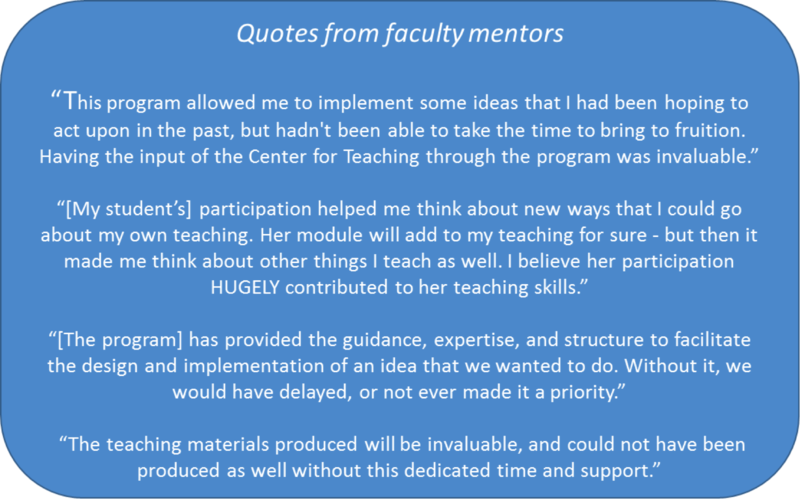 The varied perspectives and expertise available from this peer-to-peer interaction complements those of the Center for Teaching staff and Fellows’ individual faculty mentors, and builds on the CIRTL principle of learning through diversity. Faculty mentorship. Faculty mentorship around the design of the instructional materials and assessment methods is invaluable. 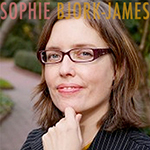 By emphasizing the importance of an active collaboration with the faculty member in designing and assessing the online learning materials, the program recognizes the centrality of domain-specific approaches to teaching while giving graduate students the opportunity to relate those to larger general principles. Further, this targeted project focused around a faculty-defined “problem” may provide a particularly rich opportunity for mentoring around teaching. 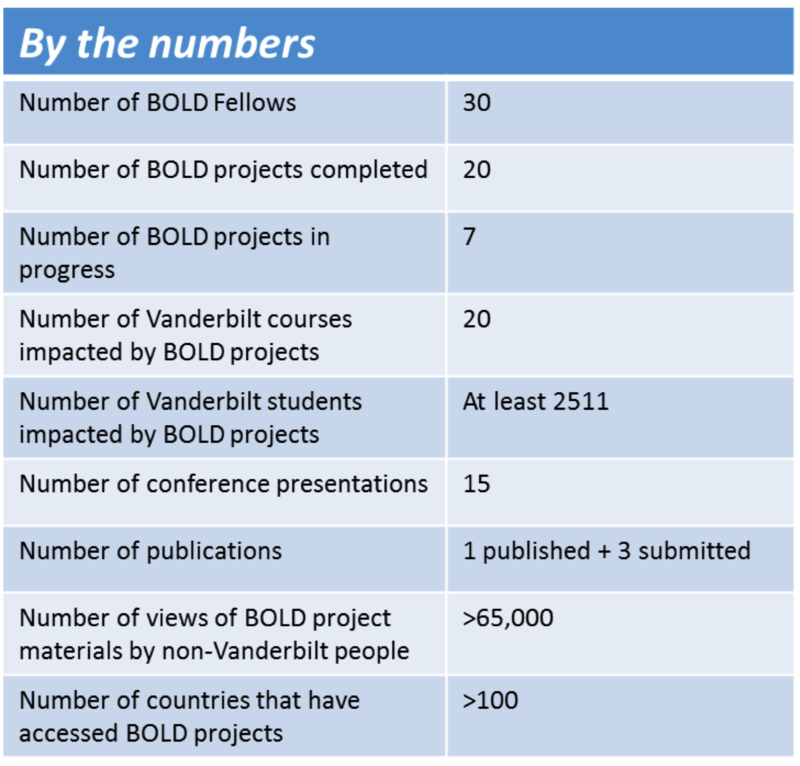 In short, the BOLD program has provided valuable lessons about approaches to foster graduate student professional development, to promote and investigate ways to supplement Vanderbilt students’ classroom learning, and to enable faculty members to try out approaches that might otherwise prove too time-consuming to develop or assess. Although the BOLD program is going on hiatus, we will continue to draw on these lessons in developing other teaching development opportunities for faculty and graduate students. 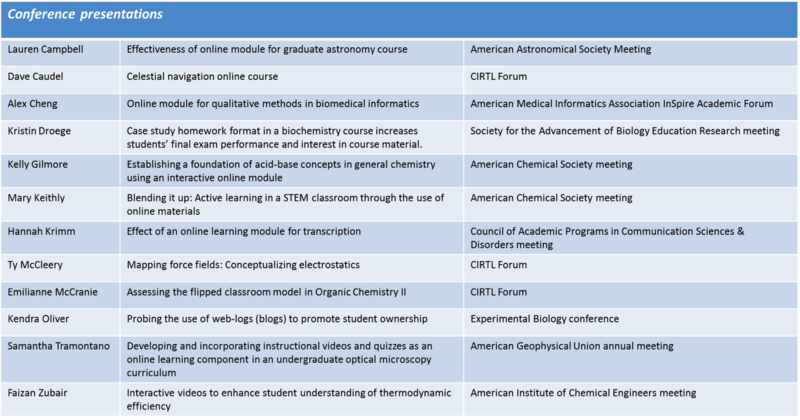 The CFT website has a full list of the BOLD Fellows and mentors, and the BOLD website hosts a project gallery where projects are more fully described as well as fuller description of the program, a list of Fellows’ presentations and publications, and helpful information for developing online instructional materials.